The basic workings of host checks are described here. Regularly scheduled host checks are optional. If you set the check_interval option in your host definition to zero (0), Nagios Core will not perform checks of the hosts on a regular basis. It will, however, still perform on-demand checks of the host as needed for other parts of the monitoring logic. On-demand checks are made when a service associated with the host changes state because Nagios Core needs to know whether the host has also changed state. Services that change state are often an indicator that the host may have also changed state. For example, if Nagios Core detects that the HTTP service associated with a host just changed from a CRITICAL to an OK state, it may indicate that the host just recovered from a reboot and is now back up and running. On-demand checks of hosts are also made as part of the host reachability logic. 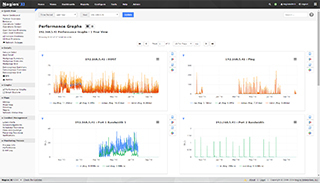 Nagios Core is designed to detect network outages as quickly as possible, and distinguish between DOWN and UNREACHABLE host states. These are very different states and can help an admin quickly locate the cause of a network outage. The performance of on-demand host checks can be significantly improved by implementing the use of cached checks, which allow Nagios Core to forgo executing a host check if it determines a relatively recent check result will do instead. More information on cached checks can be found here. You can define host execution dependencies that prevent Nagios Core from checking the status of a host depending on the state of one or more other hosts. More information on dependencies can be found here. Scheduled host checks are run in parallel. When Nagios Core needs to run a scheduled host check, it will initiate the host check and then return to doing other work (running service checks, etc). The host check runs in a child process that was fork()ed from the main Nagios Core daemon. When the host check has completed, the child process will inform the main Nagios Core process (its parent) of the check results. The main Nagios Core process then handles the check results and takes appropriate action (running event handlers, sending notifications, etc.). On-demand host checks are also run in parallel if needed. As mentioned earlier, Nagios Core can forgo the actual execution of an on-demand host check if it can use the cached results from a relatively recent host check. Hosts which have their max_check_attempts value set to 1 can cause serious performance problems. The reason? If Nagios Core needs to determine their true state using the network reachability logic (to see if they're DOWN or UNREACHABLE), it will have to launch serial checks of all of the host's immediate parents. Just to reiterate, those checks are run serially, rather than in parallel, so it can cause a big performance hit. For this reason, I would recommend that you always use a value greater than 1 for the max_check_attempts directives in your host definitions. Host checks are performed by plugins, which can return a state of OK, WARNING, UNKNOWN, or CRITICAL. How does Nagios Core translate these plugin return codes into host states of UP, DOWN, or UNREACHABLE? Let's see. If the preliminary host state is DOWN, Nagios Core will attempt to see if the host is really DOWN or if it is UNREACHABLE. The distinction between DOWN and UNREACHABLE host states is important, as it allows admins to determine root cause of network outages faster. The following table shows how Nagios Core makes a final state determination based on the state of the hosts parent(s). A host's parents are defined in the parents directive in host definition. More information on how Nagios Core distinguishes between DOWN and UNREACHABLE states can be found here. As you are probably well aware, hosts don't always stay in one state. Things break, patches get applied, and servers need to be rebooted. When Nagios Core checks the status of hosts, it will be able to detect when a host changes between UP, DOWN, and UNREACHABLE states and take appropriate action. These state changes result in different state types (HARD or SOFT), which can trigger event handlers to be run and notifications to be sent out. Detecting and dealing with state changes is what Nagios Core is all about.